The New Year starts with a New Offer ! We are happy to announce that we've started developing our Facebook Page, which will help us grow in the near future. 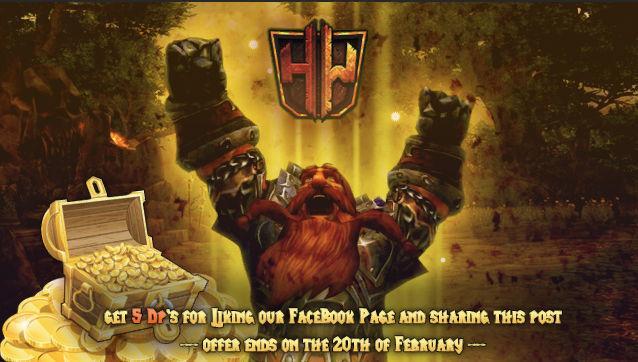 For this occasion, we have a special offer for you: Like our page and share this post, after that, message us on facebook with your account name from Havoc-WoW and you will receive 5 donor points as a present from us - please keep in mind that you can do it only once. Now's the time to join us on - Facebook ! The deadline for this offer ends on the 20th of February ! This is our way to say Thank you !